There are shukubo (pilgrim’s lodgings) in famous sacred lands throughout Japan. Simply stated, shukubo are places where worshippers stay, and purify (cleanse) their minds and bodies before worshipping. There are also shukubo in Toge, the temple town of Mt. Haguro. The word shukubo conjures up an image of temple lodgings, but the shukubo at Mt. Haguro are almost all related to shrines. Blessings by priests and prayers are conducted at shukubo, and some carry out zazen (seated Zen meditation). In modern times, there were seiso yamabushi, saitai yamabushi, sato yamabushi (ascetic mountain priests) of Mt. Haguro, but today there are only saitai and sato yamabushi. The saitai yamabushi in the Toge District are ordered leave Dewa Sanzan Shrine and go out to the “kasumiba” and “dannaba” assigned to their shukubo to pray and spread the Dewa Sanzan faith to the people. The “kasumiba” can be called the sphere of influence held by Shugen yamabushi. Yamabushi from Dewa Sanzan traveled the Tohoku Region as their kasumiba and the Kanto Region as their dannaba to give thanks, pray, and guide people to visit Dewa Sanzan. When worshippers visit, they stay in the shukubo of the yamabushi in charge of their kasumiba. Worshippers who come from around Japan would form a pilgrim’s club to worship Dewa Sanzan. In the age when transport had yet to develop, these pilgrim’s clubs jointly paid for expenses, and each year several members would make the visit to Dewa Sanzan. These pilgrim’s clubs enabled everyone to make the pilgrimage once in their lifetime. The long-standing relationship between mountains and people is evident in these clubs and shukubo. 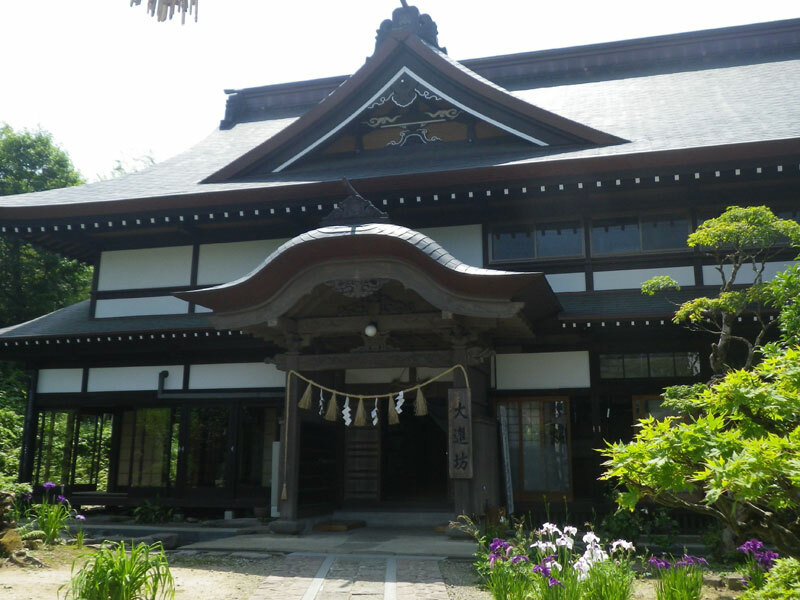 Shukubo were operated as lodgings for worshippers in pilgrim’s clubs, but of course, today general guests also can stay. The shukubo welcomed the members of the pilgrim’s clubs as if they were family. In the late Edo Period, there were around 340 shukubo, but that number shrunk to 150 between 1906–1915, and then to 60 prior to WWII. Today, it has dropped to 30. In 1993, there were 1.8 million visitors to Mt. Haguro, but that number has continued to decline all the way to 600,000 the year after the Great East Japan Earthquake. 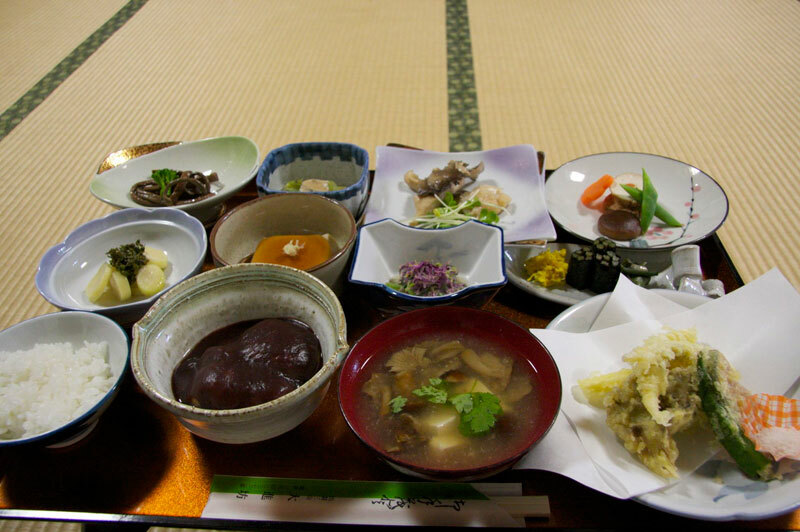 Currently, many shukubo serve their guests Shojin Ryori cuisine and cater to tourists. They are broadening services to attract a variety of people. Many guests are happy to experience a style of lodging that differs from normal inns, and are sure to enjoy cleansing their body and souls while enjoying homemade Shojin Ryori. References: Togawa, Ansho. Dewa Shugen no Shugyo to Seikatsu (The Ascetic Practices and Lifestyle of Dewa Shugen), Kosei Publishing Co., Ltd. 1993. Togawa, Ansho. Dewa Sanzan to Shugendo (Dewa Sanzan and Shugendo), Iwata Shoin, 2005.